Hydrangeas displaying beautiful and colorful blooms are indeed a sight to behold. These flowering shrubs can bring dots of blue, pink, white, purple, green, red and mint colors to your otherwise plain green garden. Most blooms stay for some weeks before they wither and die out, giving you ample time to appreciate your flowers for a an extended period. 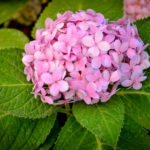 ​It’s easy to understand if you get frustrated with your hydrangea not blooming this time around. Your garden could look dull and barren without the blooms displayed in their full beauty. 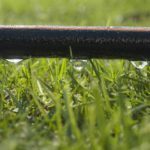 Fortunately, the reasons for the lack of blooms are easy to address, and with proper care, you might see more flowers every blooming season. ​Garbanzo beans, also more popularly known as chickpeas, belong to the legume family and are close relatives of peanuts, lentils and snap beans. Chickpeas are cool-loving annual plants that can grow easily in your garden with minimal maintenance. 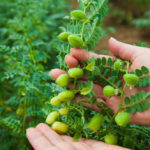 Knowing how to grow garbanzo beans in your garden is both rewarding and economical, and you can take comfort in the fact that you have a steady source of chickpeas growing straight from your own yard. Why Are My Tomatoes Not Turning Red When They’re Supposedly Ripe? You have a garden full of tomatoes and counted the days until they’re supposed to be ripe. You have dreamed about enticing the family with homemade salsas and sauces made from tomatoes picked and ripened straight from your own garden. You also thought about canning the rest of the red tomatoes that you can’t use right away so they don’t go to waste. Summer has always been synonymous with a season of busy planting and growing of vegetables. But when the winter season starts to set in, the vegetable plots are often left barren and neglected. Without that much sun and the soil covered with snow, it might be hard to believe that some of your favorite vegetables could thrive in this cold season.